The Official biochar project 2014 is (Drum Roll) ………. (Wait for it)……..
Official biochar project 2014 is code named “Franchise”. I said in this biochar projects post last week that our projects are. 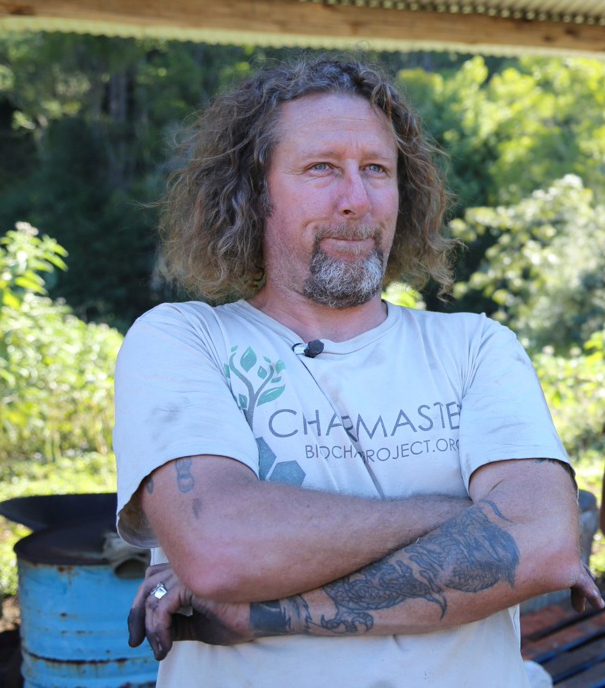 Support Jimbo and his Australian Biochar company Black is Green (BiG). Create Gasification systems to run our small engines and bring Biochar Industries carbon foot print down. Build housing for everyone who comes to live. During the period from when I wrote that page update until now. Some very coincidental things have happened that have made me question, the ” biochar projects “I have started since 2009 till now. I have noticed there are several projects that have laid dormant over this time. Sitting there trying to get an understanding of why things have stalled and why other projects have become successful. I began to think about why I got into Biochar in the first place. How I found out about Biochar from my Mentor Geoff Moxham, Then his sudden death 2 weeks after I met him (Another coincidence) and how that forced me to light my first biochar Invention. I started to read through some of my earlier blog posts and suddenly realised. Official biochar project 2014 is not a stand alone project. Infact it is a small piece of the big picture. Now with that realisation in mind I started to go through all my ideas. I started to recall all my new moon intentions then I stumbled upon my first ever biochar master plan. It had 5 simple steps or goals you could call it. Well I am please to say my seemingly mindless fray into Biochar was actually all planned. I charmaster Dolph Cooke have been following a super conscious plan unconsciously : ). So it seems I am up to step 4 in this super conscious official biochar project. Leaving only 1 final step. Back to the subject – Official biochar project 2014. FRANCHISE. In short to further spread the word of biochar. (A job that I have been doing really well at.) I now have to shift into a higher gear to get more traction. This time I am eyeing off the commercial sector. Some of the most hard working people you will ever meet are small business people. I have devised a project that is going to harness the passion these folks have and directly couple them to Biochar. So here is my Intention for 2014. I am going to motivate people to work in biochar by offering franchise’s of the “Biochar Industries” community biochar industry model. This is my intention and I will reach my goal. I am not sure where to go next. I am always open to feedback. So if you have ever been a franchisee or sold a franchise and have lots of words of wisdom please send them along. Oh don’t worry about the other biochar projects, I added to the Official biochar project 2014 page. They are more like what I am already doing so I will keep doing them. However project FRANCHISE is the culmination of what I have achieved so far. Good day, I’ve been following your site for a few months as I am very interested in starting a biochar project of my own in the Caribbean. I have been involved in biochar for about 2 years making small batches using my barrel burn system. But I am ready to take the next step. I have been looking for an Adam retort kiln design for quite some time and would love to have your input you can reach me at my email at any time. I look forward to your reply. I would also love to be your first biochar franchisee in the Caribbean! The Carribbean here we come !!!! Great to see you at the Mullum Biochar festival & yes, I did learn a lot but no ‘hands-on’ as yet. Although I missed your event last year I’m still very keen to come out your way for a few days to see what you’ve created & to get my hands blackened with Biochar making. I left my email address above so when you get this just email me back when it’s a good time for me to visit you at Kunghur. ps – I’d like to be part of your franchise too! !